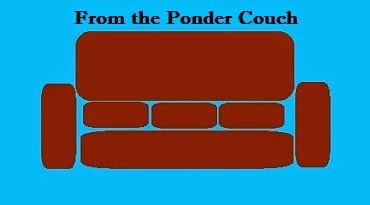 From the Ponder Couch: Strange Kids Club Published My Review! Remember last post when I said that Strange Kids Club was one of my top geek sites? Well, now they are even more so! Go to this link (click anywhere on these words) to read my review of the Junior Novelization of "Teenage Mutant Ninja Turtles II: the Secret of the Ooze"! Sure, there are some grammatical mistakes here... there... and a few over there in the article, but I don't think that's any worse than the usual Ponder Couch posts! And Strange Kids Club posted it! Hip, hip, Huzzah!